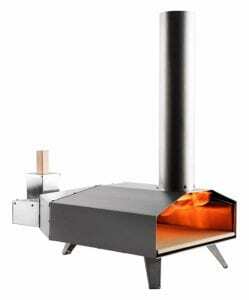 BlackStone Pizza Oven Discontinued?- Is there a better Pizza Oven then this one? 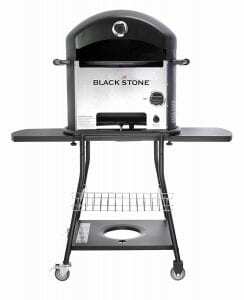 Blackstone Pizza Oven is a cult favorite and when it got discontinued from places like Amazon and other online places then people started speculating the reasons as to why this happened. As of now, it does seem like Blackstone has discontinued one of the favorite pizza ovens of so many people. However, if you are looking for some outdoor pizza oven alternatives then we have them right here. These are as good as the Blackstone Pizza Oven(some are even better) and they have been liked by so many pizza enthusiasts that you have to give these ovens a try as well. The first Pizza Oven on the list has to be the Ooni Pro. Ooni has been making the best Pizza Ovens and the price/feature balance on these ovens are just amazing. The Pro is a beautiful creation by team Ooni as this oven can do it all. It can easily cook a pizza in 60 seconds and all you need to do is rotate the pizza halfway so that it gets cooked evenly from both the sides. The Pizza comes out perfectly crispy at the bottom with the toppings cooked to perfection. The cheese is gooey and tastes brilliant. The Ooni Pro is a multi-fueled pizza oven as well since you can use wood pellets, wood, charcoal or gas to fuel this oven. You have to buy a separate gas burner attachment for the oven but it is definitely worth it. Something that was a common issue with the Blackstone Pizza Oven was that it could not cook all dishes. Basically, it would be difficult to fit a 12 inch cast iron skillet in it and cook other dishes. Whereas the Ooni Pro is spacious enough to cook anything you want. You can cook bread inside this oven and you would be pleased with the results. You can even throw in some vegetables and grill meat with ease. The Ooni Pro has to top the list as it gives you the results of a wood-fired pizza oven at a really good price. 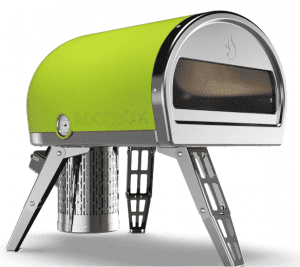 The oven is a countertop pizza oven so you can keep it anywhere on a counter in your backyard. This is portable and lightweight as well making it perfect for camping trips and other fun adventures. Do check out the Ooni Pro oven and let us know what you think in the comments below! If you have a budget lower than the price of the Ooni Pro then do check out our next recommendation. 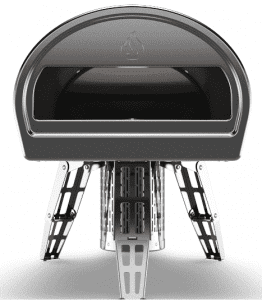 Yes, this is another Pizza Oven from Ooni and with most of the features being the same there are a few design differences between the two pizza ovens. The Ooni 3 Pizza Oven is really small in comparison to the Ooni Pro. The Ooni 3 is perfect to make pizzas but it might be an issue to use it for cooking other dishes. When it comes to making a pizza, the Ooni 3 is no less than the Pro. You can whip out pizzas at lightening speed and serve it to all your guests in the party. Both the Ooni Pizza Ovens are perfect to host a pizza party. With the Pro you can even cook meat and other things, however, the Ooni 3 you are just limited to cooking pizzas. If you just want a nice portable countertop wood-fired pizza oven then your search ends here as the Ooni 3 is the perfect choice for you. This pizza oven is multi-fueled as well just like the Pro. 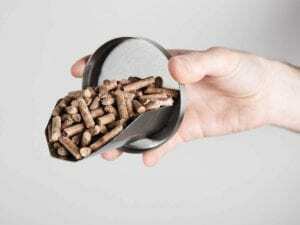 You can use wood pellets, wood, charcoal, and gas to fuel this oven. It is affordable in comparison to the Ooni Pro so do check out the pizza oven and let us know what you think about it! Another budget-friendly outdoor pizza oven is this one from Pizzacraft. If you love making pizzas and want an oven that would give you the perfect outdoor cooking experience then Pizzacraft has some amazing ovens for it. You can cook a pizza in a minute or two and the oven is just gas fueled. 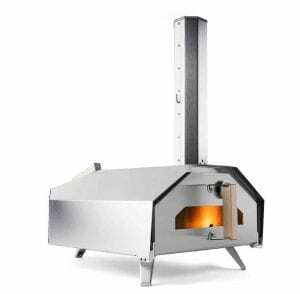 If you like the wood flavor in your pizza then you might have to choose from the above two pizza ovens otherwise this gas-fueled oven works best. It is better than most of the pizza ovens out there and if you are looking for a budget-friendly option then this one from Pizzacraft is the best fit for you. Honestly, the pizzas made inside this oven amazing and it tastes way better than most of the commercial pizza outlets. You can even cook calzones and a few other dishes as they come out really well made. If you are okay with the oven not being multi-fueled then you can go with this creation from Pizzacraft! 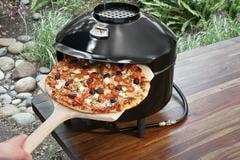 Do check out this pizza oven and let us know what you think about it! So, these were the best pizza oven alternatives for the Blackstone Pizza Oven. Which one is your favorite among the three? Do you think Blackstone Pizza oven is irreplaceable? Let us know your thoughts in the comments below! If you found the post helpful, do not forget to share it on social media! Forno Magnifico is like the American version of the G3 Ferrari G10006 Delizia Pizza Oven where most of the features and the way they cook their pizzas is similar. If you are into something that is small portable and would take really little space then you have to read this review. Forno Magnifico is a small pizza oven, but it does the job really well, you are going to end up with some great tasting pizzas that have a crisp base along with soft and gooey cheese on the top along with toppings that are cooked to perfection. If you want an electric pizza oven for your home so that you can cook a nice pizza for your family from scratch or maybe just cook a frozen pizza before your favorite TV show starts you have to take a look at this oven as this might be the best fit for you. 1. The Pizza Oven is really easy to use, all you need to do is take it out of the box and plug it in. You can get started with using the Pizza oven the day you get it. Overall, using the oven is really easy and you do not need 5 minutes to set it up like many other premium pizza ovens. 2. The Pizza Oven can reach really high temperatures inside cooking the pizzas perfectly. You can get a pizza cooked within 10-15 minutes depending on the thickness of the crust of the pizza being cooked. This is a pretty good performance for a pizza oven as small as this one. There are similar ovens that take a lot more time to cook pizzas so relatively this one is way better. 3. The pizza oven is portable and really light in weight. You can easily place this oven on your countertop and if you have a small kitchen then you can even store it in your cabinets. If you are someone like us who keeps moving from one city to another then you would love to have this kind of pizza oven with you. 4. Coming to the taste of the pizzas cooked inside the oven, the pizzas tasted really good. The base came out nice and crisp while the toppings were cooked perfectly and the cheese was melted right. 5. The Pizza oven has a temperature dial above so you can set the temperature accordingly depending on the dishes you want to cook inside the oven. As mentioned above the pizza oven can get really hot which is what you need in order to get the perfect crisp base. There can be a bit of a learning curve initially but once you get the hang of cooking in this pizza oven you would love the results. 6. You do not need to turn around the pizza like in most of the other pizza ovens. All you have to do is make your pizza and then put it inside the oven and close it and cook it on the right temperature and heat settings. 7. The pizza oven is perfect for traveling as well. If you are traveling to a new place or plan to live in a hostel, you can easily carry this along with you and use it at the new place. You can take it on trips but be sure that there is electricity where you go as it needs to be plugged in so that you can cook your pizzas easily. 1. 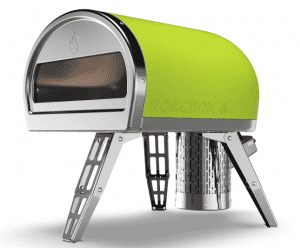 You can just cook one pizza at a time inside this pizza oven. 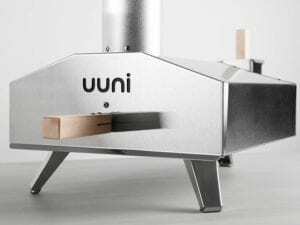 If you are looking for a pizza oven that can host pizza parties then you might want to go for the Uuni 3 or the Uuni Pro pizza oven that can cook a pizza within 30 seconds. 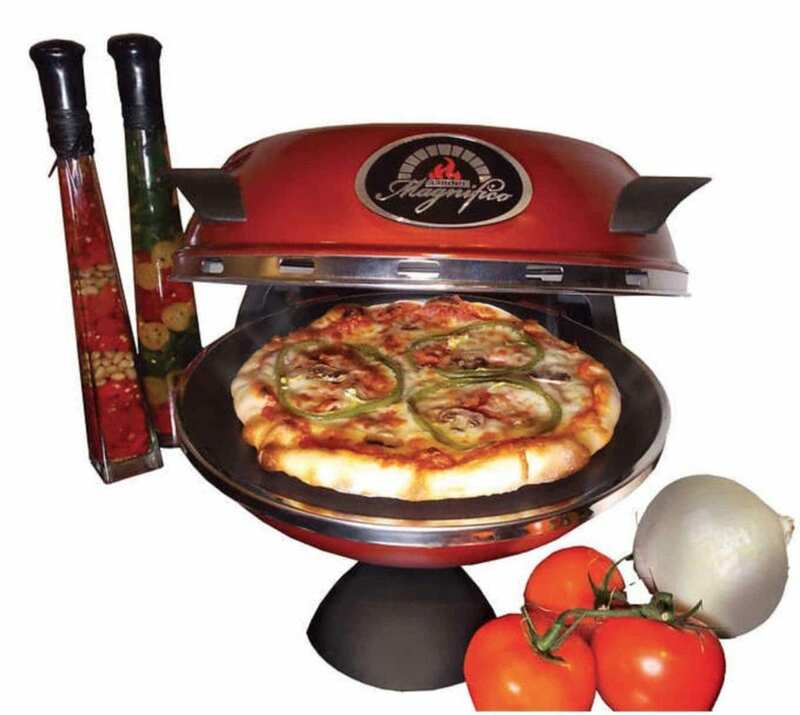 This pizza oven is designed for personal use, something that you can use to cook pizzas for your family. 2. The oven might not give you that wood flavor that you get in a wood-fired pizza oven. If you are a fan of that flavor then going for a wood-fired pizza oven would be the right thing to do. Do we recommend this pizza oven? Yes, the Forno Magnifico is a pretty good pizza oven but in the given price range you can get much better pizza makers. Pizza ovens like the Wisco 421, Oster Convection oven come within the same price range and I personally feel like they had more to offer to someone who is looking for a deal that gives them value for their money. But one has to consider that this pizza oven is not a bad deal at all. The oven reaches really high temperatures that are ideal for cooking pizzas and cleaning up the oven after cooking is extremely easy as well. 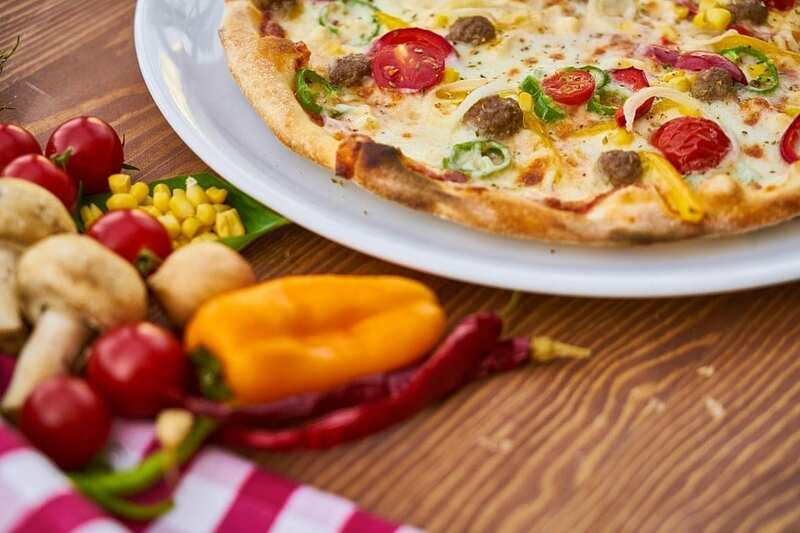 Overall, the pizza oven is a really good investment and if you are looking for an amazing electric pizza oven for your home that can cook excellent pizzas for you then this one is going to be the best fit. The pizza oven is even portable which makes it really easy to store and transport as well. Check out the pizza oven and let us know what you think in the comments below? Have you used this oven before? Leave your experiences about it in the comments section as it would help our readers make a better decision. If you are looking for a small pizza oven that can be kept on the countertop and can cook almost anything then you are looking in the right direction. 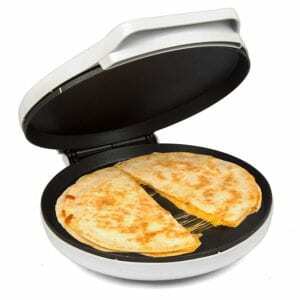 CucinaPro Pizza Maker is light, portable and really easy to use. You can keep it on your countertop and it would barely take any space and that is probably one of the best features of the pizza oven. You can cook anything you want inside the oven which includes eggs, bacon, tacos, reheating food and pizzas. The Pizza Maker has its own set of pros and cons so if you are looking to invest in the pizza oven the do read the review before making your purchase decision. The CucinaPro Pizza Maker is more like the gadget you would use if you barely had any access to a stove for cooking. Hence, I think it is perfect for someone who lives alone and has no time for some major cooking. The Pizza Oven does take a bit of time to cook but it can cook almost anything. You need to be careful about the timing for each of the dishes that you want to cook inside the oven as the time can vary. The Pizza Maker is portable hence making it really easy to move around the house. 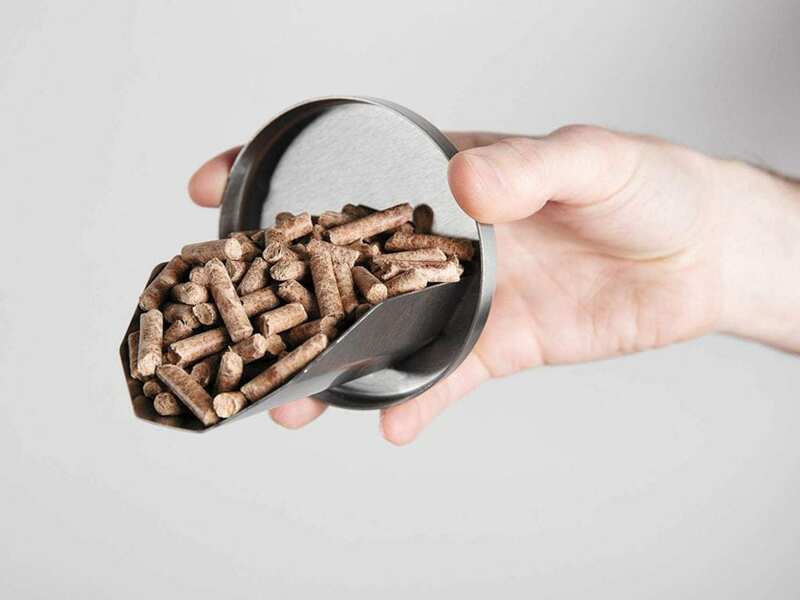 You can even keep it in your kitchen cabinet and pull it out whenever you want to and then store it inside again once you are done with the cooking. 1. Using this Pizza Maker is going to be really easy as it does not have any of those complicated features. All you need to do is pull it outside the box, plug it in and start cooking. 2. The Pizza Maker does take a bit of time when it comes to cooking pizzas and you might want to give it a good 25-30 minutes for cooking. The entire room smells like a pizzeria when you cook inside the oven. 3. You might want to consider cooking small to medium sized pizzas as the pizza oven is not large enough for family-sized pizzas. The inside diameter is around 10 inches so make sure your pizza is smaller than that. 4. The Pizza Maker does get hot and you might want to keep an eye on the oven in order to avoid any accidents. Something that is always a concern with the low budget pizza ovens. However, the CucinaPro worked just fine for us and there was no problem with cooking inside it. 5. The non-sticky base of the pizza maker makes it really easy to cook inside the oven. You would barely find any dishes sticking to the base and the coating does not come off after multiple uses which is a really good thing. 6. The pizza cooked inside the oven is pretty good. The base was crisp and the toppings were cooked perfectly and evenly. We cooked homemade pizzas and they turned out just fine. 1. A few people have had issues with the Pizza Maker within a week claiming that the quality of the oven is not that great. However, for the price point I do not think one can expect much and if you are worried about this happening to you then make sure that you check the return policy before ordering it. 2. It does take a lot of time in comparison to the other premium pizza ovens. 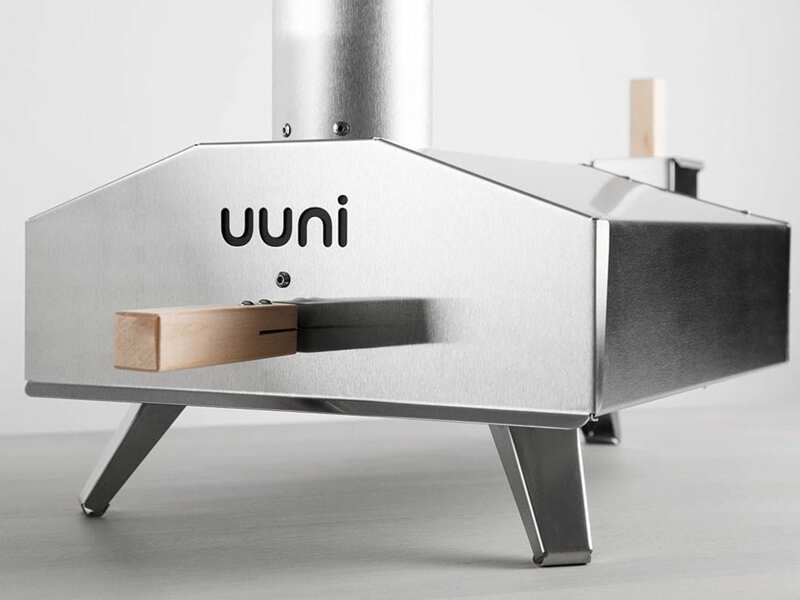 If you are used to cooking in the Uuni 3 then you might not like this pizza maker. If you want a pizza oven better than this one then the Betty Crocker oven or the Pizzazz Oven are the ones you are looking for. 3. There is no Power ON button which can be a problem to a few people. However, I think I liked it anyway so if you are looking for this feature then you might want to reconsider. The CucinaPro is a pretty good pizza maker that is lightweight, portable and really easy to use. One cannot ignore the fact that it does have a few downsides and one of them includes that you can only cook small pizzas that are less than 10 inches in diameter. 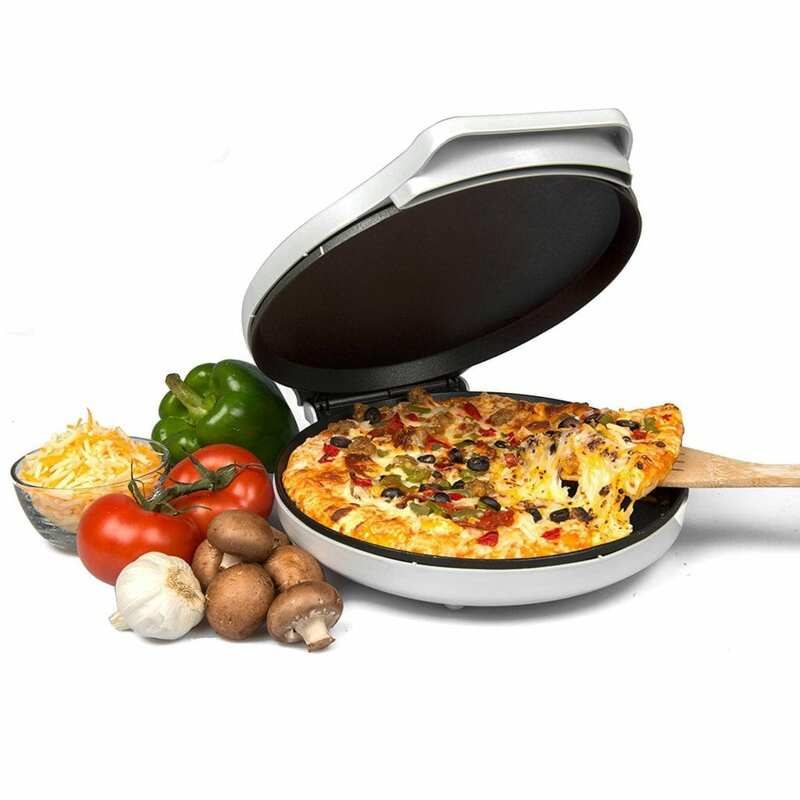 It is easy to use and you do get value for money but there are already similar and better models in the market that you can go for and a few of them are Betty Crocker and the Pizzazz Rotating Pizza Oven. These pizza makers have their own pros and cons but the end result form the CucinaPro was good as the pizza cooked was crisp at the bottom with the soft cheese on the top. 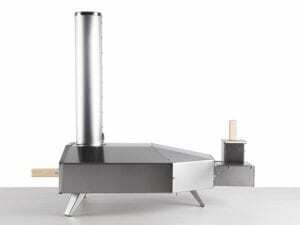 Do check out our reviews on the pizza ovens mentioned above and let us know what you think. If you have any questions then leave them in the comments section below! Already used this pizza oven? Share your thoughts as it would help our readers.